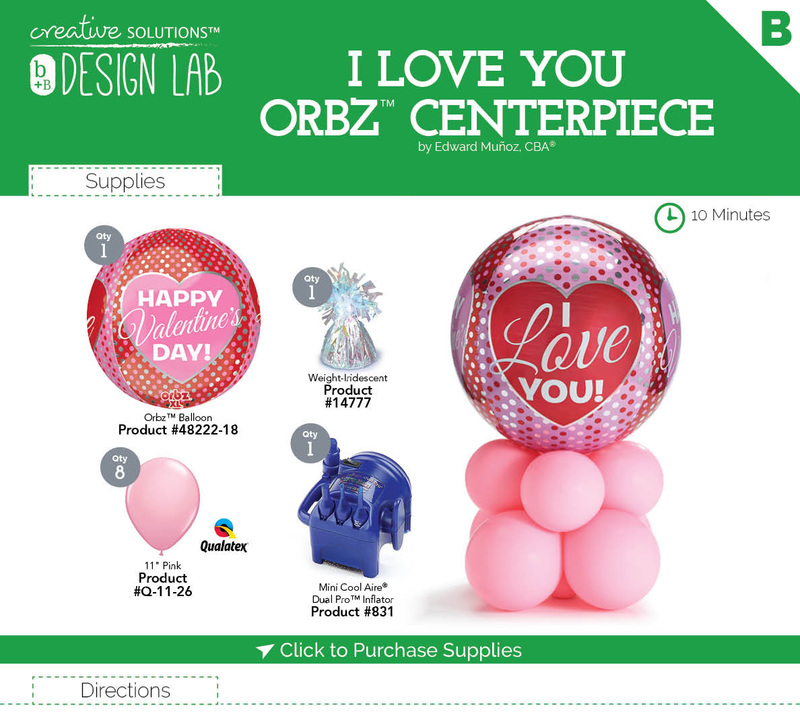 Using the Mini Cool Aire® Dual Pro™ Inflator on high speed, air-fill the Orbz™ balloon. Next, using the hand-pump, inflate the last four 11" latex balloons (10 pumps each). Hand-tie into pairs and then the pairs together to form a second quad.